As we now approach the third month of 2018, one of the major issues that continues to make headlines is healthcare. Prior to ringing in the new year, legislation was passed, the opioid crisis was declared a national public health emergency, and vertical mergers, like the one between CVS and Aetna, were brought to the table. All of these efforts point to major shifts in the healthcare industry, but there is one entity that remains heavily involved in any attempts at an overhaul: Big Pharma. It’s not shocking to see drug companies make headlines for the latest wave of lawsuits that have been filed against them. 2018 has already brought particular attention to the pharmaceutical industry’s “profit over patient” mentality, as drug manufacturers and distributors continue to be hit with civil cases throughout the country for their involvement in the opioid epidemic. But the sad fact is that these lawsuits are nothing new. They’ve been filed against drug companies for years, often as a result of marketed medications that caused patients severe harm. Take, for example, the 2012 lawsuit against Johnson & Johnson’s subsidiary Janssen Pharmaceuticals for its psychiatric drug Risperdal. Although it was originally intended to treat schizophrenia and bipolar disorder, Johnson & Johnson was caught marketing the drug for unapproved uses and was also accused of hiding the potential side effects of taking the drug. As of June 2017, 5,000 Risperdal claims have been filed against the manufacturer. Last year, Johnson & Johnson became wrapped up in another slew of lawsuits for the risk of ovarian cancer associated with its talc-based baby powder. The drug manufacturer is still battling in 2018; the first talcum powder trial in New Jersey began last month. Critics of Big Pharma have long pointed out that there is a belief within the pharmaceutical industry that this cycle of lawsuits, verdicts and payouts is just “the cost of doing business.” But do drug companies realize that this cost they can just write off has direct and often extreme impact on the lives of the patients affected? Yes, there are positive talks being had about reforming healthcare, but the ripple effect of Big Pharma’s actions must be addressed if we hope to see any real change. The ability to file lawsuits is intended to serve as a way to guide and inform the future actions of the guilty party. Nonetheless, Big Pharma remains a repeat offender for three distinct reasons. Before a drug can be put on the market, extensive clinical trials and research need to be conducted, which results in hefty funding. The National Institute of Health puts a portion of its annual budget toward this funding, but the amount has drastically fallen in recent years. More often than not, clinical trials are being supported by the pharmaceutical industry, which also happens to have financial interest in the studies’ outcomes. Although the source of funding shouldn’t dictate the trial results, the involvement of drug companies creates the potential for positive outcomes to be favored over negative side effects, especially when the possibility of hefty profits is at stake. 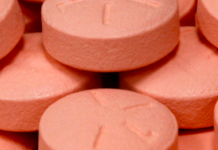 In the case of the blood thinner Pradaxa, its clinical trial RE-LY showed misleading evidence that supported the drug’s overall safety and effectiveness. Critics of the study were quick to point out the faults of the trial, which included the exclusion of an older patient demographic that would have been much more representative of the patients who were likely to be prescribed the marketed drug. With skewed trial results pushed through by the drug manufacturer, the FDA gave a hasty and lenient approval that ultimately impacted patient safety. The medication was sold on the market for five years before an antidote for its blood-thinning effects was released, and this contributed to severe internal bleeding incidents and over 1,000 deaths. The drug’s manufacturer Boehringer Ingelheim has since faced thousands of Pradaxa lawsuits because of internal bleeding complications, and a $650 million settlement fund was created in 2014 to resolve over 4,000 claims. Despite a steep payout, Pradaxa remains on the market and continues to boost Big Pharma’s profit margins. Lobbying exists in this country to encourage government officials to undertake certain public policy actions, often on behalf of the general public which doesn’t have easy and direct access to get their voices heard. Although this is a good practice in theory, the reality is that millions of dollars are invested in this persuasion of government officials that can often be seen as crossing ethical lines. The pharmaceutical/health industry is the number one lobbying industry, having spent a total of $78 million in its efforts in the first quarter of 2017 alone. This is a $10 million increase from the previous year, and it shows no signs of decreasing. Yes, lobbying is a legal activity, but Big Pharma is able to have major influence over members of Congress and certain policies. To serve as an example, it can be argued that the opioid crisis has reached epidemic levels largely in part because of Big Pharma’s involvement. Efforts to pass laws that would limit opioid prescriptions faced major pushback from drugmakers, and The Pain Care Forum funded by Big Pharma spent $740 million for lobbying efforts to toss the policy change out the window. When it comes to healthcare, the laws and regulations instated should ideally be in place to benefit consumers and protect them from any unlawful practices. Unfortunately, the legislative landscape doesn’t place consumers’ wellbeing above Big Pharma’s profit margins. Take for example the 1992 Prescription Drug User Fee Act that allows the FDA to collect fees from drug manufacturers to support the approval process. The bill was originally intended to provide the FDA with a supplemental monetary resource, but company fees now account for over 42% of the agency’s overall budget. It wouldn’t be far-fetched to hypothesize that a conflict of interest exists between the FDA and drug companies who are seeking to push their medications to market. If this partiality wasn’t enough of a red flag, the law also requires the agency to answer drug applications within 10 months of receiving them. Critics have argued that this shortened time frame could negatively impact the ability of the agency to fully analyze a drug for any patient safety issues, as such was the case with Pradaxa. The FDA approved the drug after only 6 months of review, yet surveillance in the years following its approval showed increased gastrointestinal bleeding. The fact that the drug’s manufacturer had to then release an antidote highlights the safety issues that arise with a fast-tracked approval processes. 2018 will likely be another big year for healthcare, as it rightly should be. 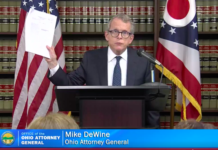 But before we can discuss mergers, address the opioid crisis, or pass any form of reasonable legislation, there are deep-rooted issues within the system that need to be addressed. How many times will we have to throw Big Pharma into the judicial system’s limelight before they finally put patient safety over profits? We can only hope that we see positive changes as the year progresses. Morgan Statt has a background in strategic communication and is a Health & Safety Investigator with ConsumerSafety.org. She spends her time researching and writing on a variety of health topics that are focused on providing consumer education. In her spare time, she enjoys running and reading the latest best-seller. That I know of, class action lawsuits do nothing because there is no direct statement, no direct involvement. The patient does not face the same person who harmed him and no statement of apology is made nor is any demand made for cease and desist. You might get a check in the mail for ten dollars. I don’t think that will be very satisfying. Instead, you have to face the offenders head-on. Who really harmed? The makers of a drug? Or the person who called you mentally ill and handed you a prescription, insisting you needed that pill? The diagnosis itself is the root of that harm. A lawsuit against a doctor will be more impactful and will make bigger waves. I think we need more of these, more attorneys should take these on. I watched the CNN school shooting Town Hall special yesterday 2/21/18 and as I predicted they did not play a single “ask your doctor” for suicide side effect pills. This article needs to point out how the pharmaceutical industry owns big media. Good point, we need to make DTC drug advertising illegal again. Great article. 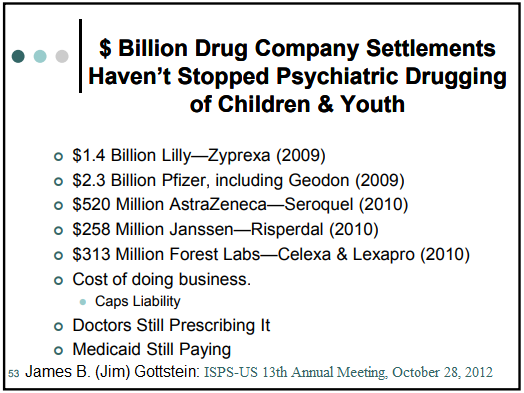 In large part, the lair of the dragon of psychiatry is filled with Big Pharma’s filthy lucre. Big Pharma has the blood of many innocent people on its hands. The_cat makes a good point about Big Pharma’s control of the media as well. Perhaps someone can write an article about the specific people who are running the Big Pharma show. Someone is back there pulling the strings and raking in the cash. Who is it? Who are they? When will they be brought to justice? I would rather have business dealings with Tony Soprano than a Big Pharma CEO. Any fines paid out are always chump change anyway, most people can’t distinguish between millions, billions & trillions when they never get to hold a thousand dollar bill in their lifetimes. The drug companies situation vis a vis courts of law complements the “mental health” situation vis a vis courts of law. If good health is good behavior, physical illness is no longer necessarily unhealthy. It is the social control aspect of psychiatry that we are dealing with here, and social control attained through the administering of drugs. I don’t think it is helpful to blame drug companies without seeing how all these other people are involved in the same business, which is to say, the drug companies couldn’t do what they do without a lot of help from a lot of people. If you’re really going to take this system on you have to automatically go to the root of the problem, and that involves the extreme amount of injury and death, not to mention bad behavior, that may be attributed to the use of these drugs in “treatment” aimed at social control. Could we tolerate people’s behavior in the first place, you wouldn’t get all these measures designed to control it, nor this equation of behavior with health. The drug cartel/corporations need to be broken up into smaller corporations that do not wield so much power, internationally. That is our governments’ job, and they’ve neglected to do it. But in this “globalist economy,” we need all the governments of the world working together. They need to look at the economies of scale of the drug industry, including at what economy of scale there truly is the most innovative and helpful new, as opposed to “me too,” drug innovation. As well as other factors which would be involved in determining the most beneficial size of a pharmaceutical company for pharmaceutical manufacturing. Pharmaceutical companies should not be allowed to be larger than the economy of scale at which there is the most benefit to humanity as a whole, as opposed to the pharmaceutical companies only caring about their investors, as is legally required for all corporations. The problem with this entire “globalist economy” is the countries can’t get along enough to avoid never ending wars, let along cooperate enough to investigate into how to best deal with psychopathic globalist corporations/cartels that have run amok. What made America great was fair and free market competition – keeping businesses smaller. In our current world we have cartels ruling basically every industry and increasing takeovers. Fair and free market competition doesn’t exist now. The current globalist system will never result in creating a successful world, one where all within this world can see success and hope for the “American dream,” like those in America once could. The patients and Medicaid pay by taking these drugs.